Welcome to my blog about my genealogical research: my triumphs, my challenges, my research notes...plus some tips and links for you. My 4th-great-grandfather, Jan Aans MUD (c. 1786 - 1846), also spelled his name Jan Aants MUT, as you can see above in his signature. This was written at the bottom of the birth record of his daughter, Aaltje, my 3rd-great-grandmother, on 12 September 1848. Aaljte was born two days earlier, on 10 September 1848, in Sloten, Gaasterlân-Sleat, Friesland, the Netherlands. The DIJKEMA family is one of my maternal step-grandfather's maternal lines. 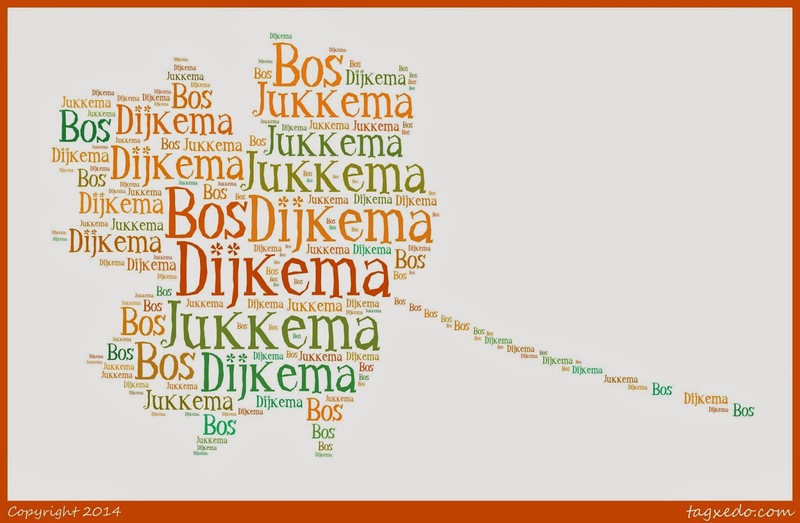 DIJKEMA is a Dutch family or clan name referring to living near or working on a dike. Ahnentafel #106C - Melle Pieters DIJKEMA (b. 1799) - born in the village of Spijk, municipality of Delfzijl, Province of Groningen, the Netherlands, he married Aaltje Klaassens JUKKEMA (b. 1794) in 1820 in the village of Bierum, Delfzijl, Groningen. They had four known children. Ahnentafel #53C - Geertje Melles DIJKEMA (1821 - 1872) - lived her entire live in Bierum. Married Jan Ewes BOS (1823 - 1881) in 1849 and had three known sons. Ahnentafel # 6C - Adrian "Ed" DeVRIES (1916 - 2007) - my beloved maternal (step) grandfather, greatly missed; m. 1947 in Wyoming Twp., Kent Co., Michigan to Ruth Lillian (HOEKSTRA) VALK. For some people, winter is the best time to do genealogical research. They may be home more and traveling less. Stay-at-home moms (or dads) may have a little more time on their hands while their kids are at school. Others, like me, find summer a better season to work on family history. School staff may have a more flexible summer schedule. Perhaps an upcoming family reunion sparks a desire to wrap up loose ends on a particular family research project, say, for a published book to share or sell at the get together. Vacation destinations may include courthouses, cemeteries, and repositories in ancestral locations. Finally, many genealogical societies have large summertime conferences. No matter what your favorite or most convenient season is in which to do research, you can be prepared to get the most of our your summertime genealogy with the following tips. Mocavo offers a great Summer Genealogy Research Guide as a free downloadable .pdf document. Complete with tips for genealogy at home or on-the-go, it includes several handy forms and a checklist. Next weekend is Memorial Day in the United States, when we honor the fallen military and traditionally clean and decorate family graves. Fold3 is offering free access to their entire WWII Military Collection from now through May 31st (if you're not a subscriber, you will be prompted to create a freebie user account). MyHeritage is offering free access to their US Military Collection from May 23rd - 26th. Not sure if your ancestors served? Check out this free handy infographic from Fold3! Keep in mind that it's not just the U.S. genealogy subscription websites that offer freebies during summer holidays. If you live in a different country--or your ancestors did--keep an eye on genealogy sites in those locations. Add the 4YourFamilyStory Blog to your list of must-reads to be sure to find highlights of those specials. Speaking of Memorial Day, it's always a good idea to know what to bring, what to do, and (most importantly!) what NOT to do when you visit a cemetery. Savings Graves has some informative educational resources in their left-hand menu which include locating cemeteries and gravesites, cleaning and care of tombstones, and gravestone repair and restoration. Midge Frazel, of the Granite in My Blood blog, shares a useful, labeled photograph of her cemetery kit. She also shares her series, Learning Cemetery Research, with some forms and videos here. The mecca of geneabloggers everywhere, the Southern California Genealogical Society's Jamboree fires up in a few more weeks. In late August, genealogists will be "Gone to Texas" during the Federation of Genealogical Societies 2014 Conference. My own state will be hosting D. Joshua Taylor as keynote speaker for the Washington State Genealogical Society's State Conference in mid-August in Arlington. Keep track of conferences in your areas of interest by visiting ConferenceKeeper. Family, work, or financial restraints prevent you from traveling to conferences? Many offer webinars for free at the time of the conference, or for a modest fee after the session has ended. 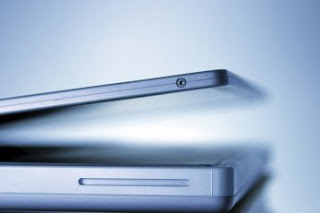 Learn about webinars and where to access them in my post, Tuesday's Tip: Webinars. Using different technology, you can participate in a genealogy chatroom to do some summer learning as well. Jen Baldwin hosts GenChat through Twitter several times a month (use the hashtag #genchat). Pat Richley hosts Mondays with Myrt on Google Hangouts. And I host Scanfest on the last Sunday of most months (go here for the 2014 dates); it's an opportunity to scan your precious genealogy photos and documents as a preservation and backup measure, while chatting with other genealogists about preservation, technology, and genealogy. Actually, our topics range from the serious to the silly! Whether you're driving your kids to endless soccer or baseball games, or taking a long road trip, you'll want to be able to listen to your favorite genealogy podcasts. I've listed some must-listens here. Best of all? They're free! Planning a reunion...or even just thinking about one? Family Reunion Organizer is software made by the folks of my favorite genealogy database software, RootsMagic. You can also use EventBrite for a free online organizer. GatheredAgain has tons of ideas for themes, games, and invitations. Finally, don't forget to use Pinterest to discover, gather, and organize your ideas! If your idea of summertime genealogy means sitting on the beach or the dock with an umbrella drink and an engrossing novel, I recommend checking out GoodReads' list of genealogy fiction! What would summer be without road construction? You can avoid the delays, headaches, and (maybe) cranky kids and spouses by using Google to find current construction projects that might be on the way from your home to your ancestors' tombstones in the old family cemetery. Check the state, county, and city websites to ensure your route will be construction-free, or to find detours and/or alternative routes. For Washington State, I searched for Washington Department of Transportation. There was a link on the DOT's home page for construction projects; I could also have used the site's search engine to search for road construction. For Spokane County, I Googled Spokane County road construction projects. And for my city, I searched for City of Spokane road construction projects. All three searches brought up helpful lists or maps. There you have it! Ten tips to keep your summer genealogy projects interesting, educational, and affordable! B: C: Tuinstra - the groom's brother, Berend Caspers TUINSTRA. The groom, Auke, was the oldest child, and Berend was the second son. The bride's father, Jan Aans MUD was deceased and her mother, Aukjen Lammerts SCHAAFSMA (a.ka. Aukjen Lammerts JONGBLOED) probably was living in Leewarden, so their signatures do not appear in this marriage record. 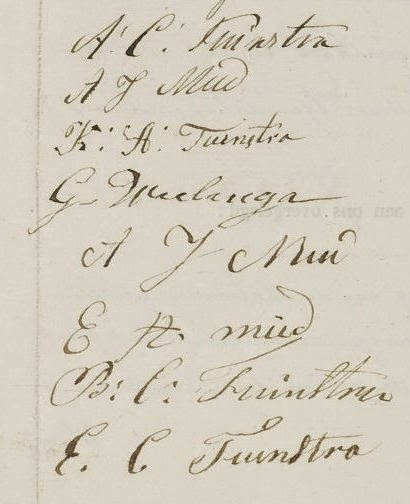 I'll have to continue translating the marriage record, which mentions Aukjen, to make sure of my guess. Source: Netherlands. "Burgerlijke Standregister." Database and images. AlleFriezen. http://www.allefriezen.nl : 2014. When I first came across this Frisian surname while researching my TUINSTRA family, I had to laugh. The phrase, "his name is mud," immediately came to mind! I have seen this name spelled as MUT once or twice, but generally, it is spelled MUD. 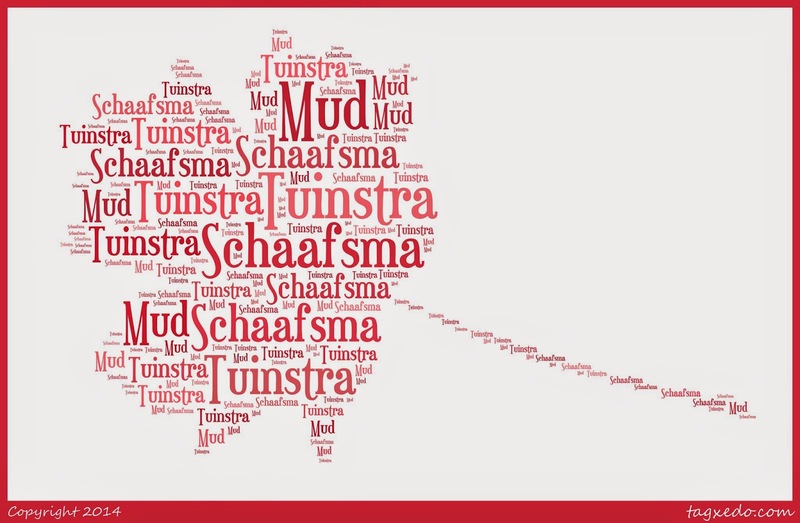 It is most likely pronounced "moodt" in the Netherlands. I have been told that "mud" is a measure of weight equal to about 70 kilos or 154 pounds, although I'm not sure why it was chosen as a surname. For those of you to whom Frisian is a new term, it is an ethnic and cultural minority of people with a distinct language more closely related to Old English. They live in the the northern part of the Netherlands and the northwestern part of Germany, where they are referred to as "Ostfriesen." The Frisians have populated the Frisian Islands, the modern provinces of Friesland and Groningen in the Netherlands and Lower Saxony and Schleswig-Holstein in Germany. Ahnentafel #212 - Aan Jans MUD (c. 1761 - 1828) - he married Zwaantje Jans (c. 1860 - 1836) and had at least four children. Their third child, Edser Aans MUD (not my ancestors), was born in Garijp, Tietjerksteradeel, Friesland, the Netherlands, so they likely lived in the area. The MUD family is probably the most migratory of my Frisian families that I've so far come across. Aan died in the provincial capital of Leewarden, and Zwaantje died in the municipality of Opsterland. Ahnentafel #106 - Jan Aans MUD (c. 1786 - 1846) - the eldest child of his parents. In 1812, he married Aukjen Lammerts SCHAAFSMA (1793 - 1871) in Langezwaag, Opsterland. They had six known children, whose birthplaces included Leeuwarden, Blija (in Ferwerderadeel), Tzummarum and Wiedum (in Barradeel), and Sloten (in Gaasterlân-Sleat). Jan died in the municipality of Menaldumeel, while his wife Aukjen died in Leeuwarden. Ahnentafel #53 - Aaltje Jans MUD (1825 - 1857) - the fifth of six known children, she was born in Sloten, Gaasterlân-Sleat. She married Auke Caspers TUINSTRA (1818 - 1898), a gardener, in 1848 in the city of Franeker. She was his second wife, as his first had died, leaving one surviving son. Together, Auke and Aaltje had six sons. The fifth died at four months old. Aaltje died in the city of Sneek the day she gave birth to her sixth son. Her husband married for the third time and the family immigrated to the United States. The May 2014 Scanfest will take place here at AnceStories this coming Sunday, May 18th, from 11 AM to 2 PM, Pacific Daylight Time. It will be held one week early due to the Memorial Day holiday weekend. What is Scanfest? It's a time when geneabloggers, family historians, and family archivists meet online here at this blog to chat while they scan their precious family document and photos. Why? Because, quite honestly, scanning is time-consuming and boring! Scanfest is a great time to "meet" other genealogists, ask questions about scanning and preservation, and get the kick in the pants we all need on starting those massive scanning projects that just seem too overwhelming to begin. 1. Don't use commercial glass cleaners (i.e. Windex) or paper towels to clean your scanner's glass plate. Use a soft, clean cloth, preferably microfiber. If you must use a liquid, use water sprayed directly onto the cloth and make sure to let the plate dry thoroughly before placing photos or documents on it. 2. Wear cotton gloves (available at many art and/or photography supply shops) when handling photos and old documents. 3. Don't slide the photos around on the glass plate. Place them exactly where you want them. Photos should NEVER be scanned by a scanner that feeds the document through the machine, but ALWAYS on a flat-bed scanner. 4. Set your scanner to scan at no smaller than 300 dpi (dots per inch). Many experts recommend 600 dpi for photographs. 5. Photographs should ALWAYS be scanned and saved as .tif files. Use "Save As" to reformat the .tif file to a .jpg file for restoration and touchups, emailing, or uploading to an online photo album. ALWAYS retain the original scan as a .tif file. 6. Documents can be scanned as .pdf files or .tif files. 7. When you are done scanning your photos, don't put them back in those nasty "magnetic" photo albums. Place them in archival safe albums or boxes found at websites such as Archival Products or Archival Suppliers. Do NOT store any newsprint (articles, obituaries, etc.) with the photos. The acid from the newspaper will eventually destroy the photograph. We will be using Blyve, a live blogging platform that you access right here at AnceStories. On Sunday at 11 AM, PDT, come right here to AnceStories and you'll see the Blyve live blog/forum in the top post. It's not really a "chat room," per se, it's more like a live forum and anyone visiting this site can read and see what is happening in the forum. You will not need to download any software. We look forward to having you participate with us! According to Friesche Naamlijst, SIEGERS is a misspelling of the patronym, SIGERS. Siger is a derivative of the Latin name, Victor. What is interesting about this family is that the name comes from the mother's side, as the father of Korneliske SIEGERS was not named. Another interesting fact is that Kornliske's mother, Aaltje, already had the patronym, Hendriks, but also used SIEGERS. 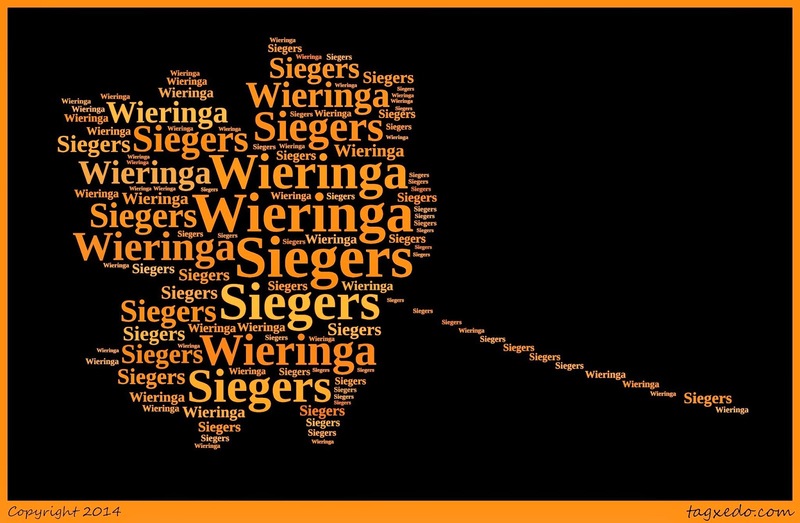 SIEGERS is one of my maternal step-father's lines. (I use the letter "C" to differentiate between my biological family tree and my step-family tree. Similarly, I use the letter "B" to mark my paternal grandmother's adoptive family tree.) I have not done much research on this line; consequently, I do not have very much information to share at this time, other than that this family is first found in Oldehove, Gronigen, the Netherlands in 1858. Ahnentafel #103C - Aaltje Hendriks SIEGERS (dates unknown) - presumably from the province of Groningen, the Netherlands. No father is listed for her daughter, Korneliske. Ahnentafel #51C - Korneliske SIEGERS (b.1827) - born presumably in Groningen. Married Hendrik WIERINGA (b. 1815) on 19 May 1858 in Oldehove, Groningen. They had two known daughters. Korneliske's name was passed down to her granddaughter, Cornelia DeVRIES. Ahnentafel #25 - Adriaantje WIERINGA (1861 - 1925) - her name is also spelled "Adriaantze" and "Adriana." Born in Oldehove, Groningen, the Netherland, she first married a shoemaker and barber, Binne Jarigs DeVRIES (1856 - 1896) in 1886 in the municipality of Kollumerland, Friesland, the Netherlands. At that time, her residence was in Noord Drachten, Smallingerland, Friesland. They had three children before Binne died. Adriaantje apparently ended up in an arranged marriage with John HOOGSTRA (b. 1858), who had emigrated to the United States in 1890. He was widowed as well. It is likely they knew each other before he left the Netherlands, or that Adriaantje had contacts with the Dutch immigrant community in Western Michigan, who may have helped arrange the marriage. At any rate, Adriaantje arrived at Ellis Island on the Spaarndam with her three young children on 29 March 1897. Ten days later, she married John in Grand Rapids, Kent Co., Michigan, with her ten-year-old son, George, as one of the witnesses. She and John had three more children. After his death, she married another widower, Teunis NIEMEYER (b. c. 1865) in 1915 in Grand Rapids. Adriaantje died in East Grand Rapids, Kent Co., Michigan. Ahenentafel #12C - Jarig Binne Egbert DeVRIES (1887 - 1959) - born in the city of Drachten in Smallingerland, Friesland, the Netherlands he immigrated with his mother and two younger siblings to the United States, the only group of my ancestors to pass through Ellis Island. His name was anglicized to George Benjamin Edward DeVRIES. He married Johanna "Josephine" BOS / BUSH (1885 - 1946) in 1911 in Grand Rapids, Kent Co., Michigan. They had four sons and one daughter. My mother remembers George pretty well, as he lived with her family in Grand Rapids in his elder years, and died in their home. 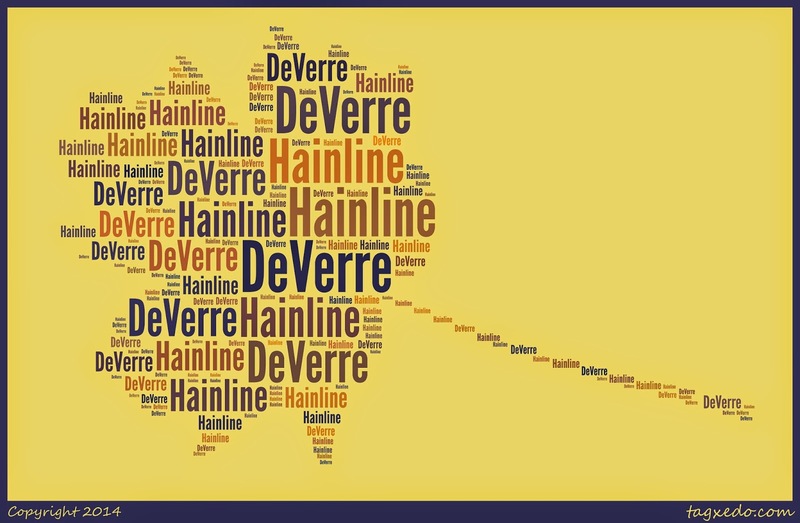 The surname DeVERRE probably is originally of French origin. It is found in England, however, because it is one of the names of soldiers who fought with William the Conqueror at the Battle of Hastings. According to the Internet Surname Database, "...they served with conspicuous distinction so much so that the nameholders were granted large estates, mainly in East Anglia, some of whom they still hold after nine hundred years. The origination is from the villages of 'Ver' in the canton of Guttray, La Manche, Normandy, although there is also a Dutch town called 'Veere' on the island of Walcheren, and it is possible that later nameholders may have originated there." Ahnentafel #102 - Joseph DeVERRE (dates unknown) - he married Mary [--?--] (dates unknown) before 1803. It is believed he died in Louisiana, thereby adding to the hypothesis that this may be a family that originated in France before immigrating to the United States, rather than a line that came via England. Ahnentafel #51 - Mary DeVERRE (1803 - 1871) - born in Clark County, Kentucky, she married John W. HAINLINE in 1826 in that county. They had eleven known children, the first six of whom appear to have been born in Montgomery County. The family then removed to Sciota Township, McDonough County, Illinois between 1834 and 1837. This is the county in which their remaining five children were born and where both John and Mary died. Ahnentafel #25 - Susan W. HAINLINE (1828 - 1914) - born in Montgomery Co., Kentucky. She was the second wife of Gideon CHAPLIN (1821 - 1876), whom she married in 1850 in McDonough Co., Illinois. They had ten children. She continued to run the family farms with her sons' help after her husband died. The family emigrated to Union Co., Iowa and then Cheyenne Co., Kansas, where she died after a stroke and fall. Ahnentafel #12 - Albert Francis CHAPLIN (1868 - 1946) - born in Afton, Union Co., Iowa. He married Emma Alice LYTON (1874 - 1959) about 1891 in Iowa. They had six children, and lived all over the Midwest and West (Nebraska, Iowa, South Dakota, Colorado, Idaho) before settling in Washington State, where Albert died. Ahnentafel #6 - Forrest "Frank" L. CHAPLIN (1901 - 1977) - born in Yankton, Yankton Co., South Dakota. Came out West in a covered wagon as a boy with his family...yes, they still had them in the early 1900s! Married Leona Mary MARTIN (1906 - 1993) in 1925 in Vancouver, Clark Co., Washington. they had three children and lived in various counties in Central and Western Washington State. Frank died in Othello, Adams Co., Washington. This is my children's paternal grandmother's line. It's one I look forward to researching more, because the name is just unusual enough to make researching a little easier than with more common surnames. 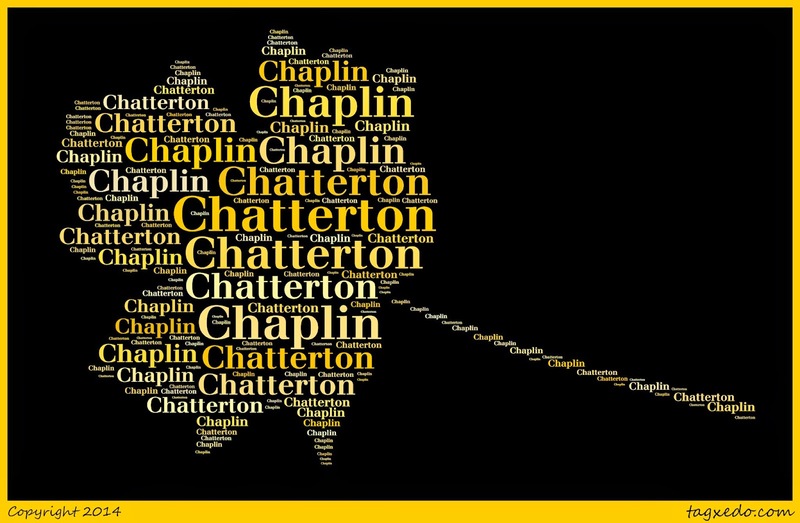 Ahnentafel #98 - Jacob CHATTERTON (d. 1813) - he married Polly [--?--] (dates unknown) and had five known children. He died in the Town of Virgil, Cortland Co., New York. Ahnentafel #49 - Lana CHATTERON (c. 1792 - 1851) - born in New York, she married Joseph CHAPLIN (c. 1786 - 1854) about 1809 in Cortland County. They had ten known children, all whom appear to be born in that county. The couple remained there through the 1850 census, but by the time of Lana's death in November 1851, they were in Fulton Co., Illinois. Several of their children had removed to neighboring McDonough County in the late 1840s, which may have prompted Joseph and Lana's immigration to the area. Ahnentafel #6 - Forrest "Frank" L. CHAPLIN (1901 - 1977) - came out West in a covered wagon as a boy with his family...yes, they still had them in the early 1900s! I just want to wish everyone a happy New Year's Day! Enjoy! GeneaDiva's History, Genealogy and "Stuff"
I’ve moved the blog. New location is here. Mississippi researchers will be excited about this joint effort between Houston Public Library and FamilySearch.org. This blog is moving to: http://www.genealogyaddiction.com/wordpress/ Should be more active there... well, theoretically. a3 Genealogy "Accurate Accessible Answers"
The opinions expressed on this blog are purely my own and are not meant to be reflective of the mission of the genealogical societies of which I am a member, nor of my employers.